Revive Bath & Body: GIVEAWAY!!!! You could be the lucky winner of a bar soap! The winner will get to pick the scent they receive. Subscribe by email on the right side of this page! Leave a comment with your email. Just answer the questions below! Each question is an additional entry, so make sure to post them in separate comments. 1. What is your favorite product that Revive currently carries? 2. What product(s) would you like to see Revive carry? 3. What are your favorite scents? Heart your favorite item(s) in Revive’s shop and post a comment with your Etsy user name. Don't forget to leave me a way to contact you. Entries without contact information will be disqualified. Contest winner will be drawn on Sunday, September 5 by a random number generator. Winner must respond within 48 hours after being contacted otherwise another winner will be randomly selected. Just signed up for the mandatory entry. I love citrus scents, especially Orange, Kiwi and Lemon. Vanilla, Coffee, Rose, Lavender and Grass are also wonderful. 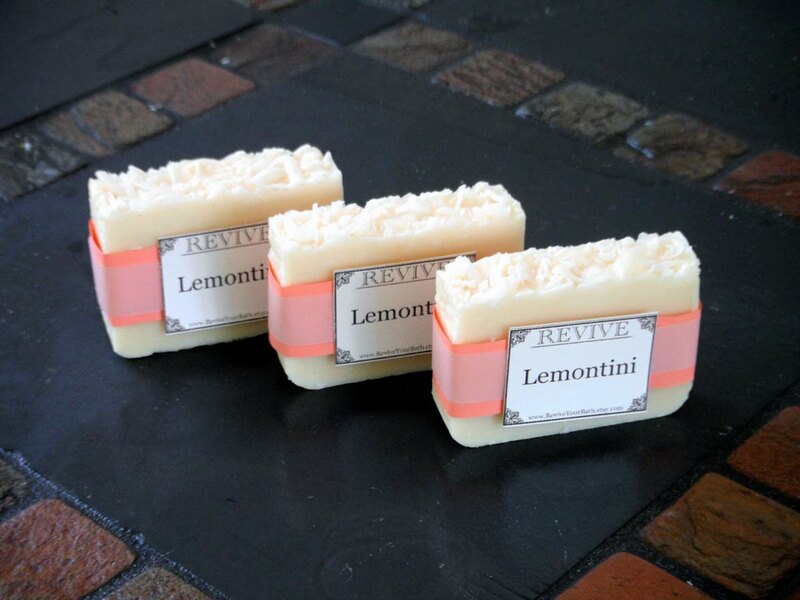 I love the Lemontini Natural Lemon Cold Process Vegan Soap Bar 4 oz., it sounds amazing! I would like the sweet citrus natural lime,tangarine, orange and thyme natural cold processed soap. I would like to see an apple pie, pumpkin pie or rosemary scented soap. My favorite scents are lavender, rosemary, citrus, apple pie and pumpkin pie. My favorite product is the refreshing Lemontini Bath Dust salt soak 4 oz.! Products that I'd like Revive to carry are: honey almond or honey oatmeal or peppermint soaps. 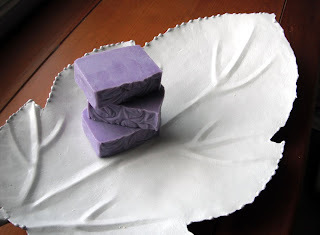 Handmade soap contains all of the glycerin, and is made from vegetable-based oils. Handmade soap doesn't contain chemicals or preservatives. Store-bought soap is basically detergent! I hearted the Classy Oatmeal Natural No Scent Cold Process Vegan Soap Bar. I think your Lemontini Natural Lemon Cold Process Vegan Soap Bar sounds like it would smell AMAZING! I love vanilla and clean laundry/cotton smells scents. Anything clean smelling! I subscribed Bubblelane at embarqmail.com KimsBeads from etsy. I would like to see you carry a more musky scented soap with patchouli in it. I guess I just gave myself away with my answer to #2 but I love patchouli, sandlewood, vanilla... and the combination is divine! I also love rose geranium, lemongrass, lavender. without looking at your listing I can tell you from experience... handmade natural soaps do not dry my skin because they haven't had the glycerin removed. They also don't have harsh chemicals or harmful additives for colour and preservation. Thank you for the contest. I subscribed through email at silvermage2000@yahoo.com Your classy oatmeal soap sounds wonderful. I like foody scents,fruity scents,and light scents. My favorite product would be the true lavender natural bath fizzy. fave item lavender room and linen spray, besides the soaps of course. my fave scent is lavender, which seems to be one of your favorites too. Your soap is created in small batches by cold press method. Your soaps are better than non handmade because they are created with 100 percent essential oils, no synthetics or preservatives.